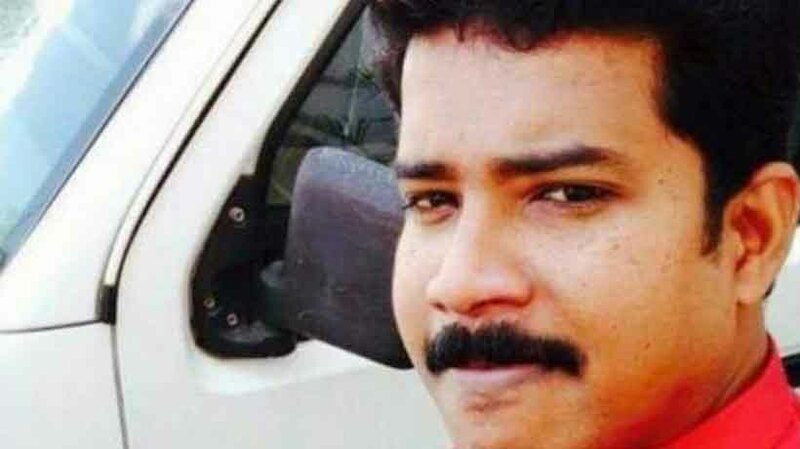 KOCHI: The key accused in the murder of radio jockey Rajesh Kumar, Mohammad Thalif aka Ali Bhai, was detained at the Thiruvananthapuram airport on Thursday morning. According to sources, Immigration officials detained him when he landed here in a Jet Airways flight from Qatar. The officials were acting on the basis of a lookout notice issued by the State police a few days ago. A special police team, who were alerted by airport officials, rushed to the airport and arrested Thalif. With this, the number of those arrested in connection with Rajesh’s murder has gone up to four. Police had earlier arrested Swati Santhosh, Yasin, an Engineering student and Sanu, the owner of the house where the quotation team had lived. All the three had played a crucial role in the conspiracy to eliminate Rajesh. Rajesh, 37, was hacked to death on March 27 at Kilimanoor in a pre-dawn operation. The murder was a hit job ordered by an NRI businessman Abdul Sathar, husband of the woman with whom Rajesh is believed to have had a relationship. Sathar had married the woman, who was from another community, in Qatar. They have two children. The woman got close to Rajesh when he was working in Qatar. It is learnt that she had moved court for separation.